HomeblogHow Much to Hire a Cheap Photo Booth for a Party in Melbourne? Get an Exhaustive Answer. Have you thought about hiring a photo booth for your Birthday, Anniversary or any other party? This blog will give you all the information you need to hire a cheap photo booth for your next party in Melbourne. Why photo booths are still relevant these days? Given the fact that modern gadgets, such as phones or even music players are equipped with cameras, one might say that using photo booths is an obsolete practice. Modern technologies offer an impressive array of opportunities to catch the best moments of your life. Phone cameras, SLR cameras, iPod cameras, they are all providing you with the possibility of taking quality pictures, are much easier to transport if compared to photo booths, and have many other positive traits. Well, this is something that common sense tells us. However, in spite of such a powerful argumentation, photo booths are still rocking. Instagram and Facebook have strongly influenced people, but still failed to decrease the popularity of photo booths at events. Despite being heavy and big, clunky and difficult in transportation, a photo booth can really change the atmosphere of an event to the best. Neither phone cameras nor Instagram cannot change the fact, that photo booths are very intimate places that are refreshing the spirits of people who are involved into a certain activity. In spite of all the cons that your mind brings against photo booths, our technology oriented society keeps on hiring photo booths for their events, or just installing them in various entertainment parks or markets. Why are photo booths still so popular at parties and events? There are several reasons why photo booths are still very popular at events & parties, unlike selfies that are becoming increasingly popular recently, taking photos in a photo booth is an intimate and highly personalised social activity. First of all, to get a picture in a photo booth, you would need to sacrifice your bubble space for its sake! Indeed, it is a happiness when your beloved people are around you. A photo booth makes people even closer! Additionally, many people who do not feel like in their waters while at a party, claim that photo booths help them get into the party’s stream, relax and start having fun. Isn’t this what any party maker is looking for? Some older people can recall the first photo booth boom back in 60s and 70s. These are the moments when photo booths became a popular practice all over the world. People of that generation feel more comfortable while seeing these objects that accompanied their youth. While taking pictures with their relatives and friends, they often get gone by pleasant memories, and again it is the party maker who has to win out of this! Given the all-round love of people for photo booths, it is no wonder their popularity didn’t go down with years! 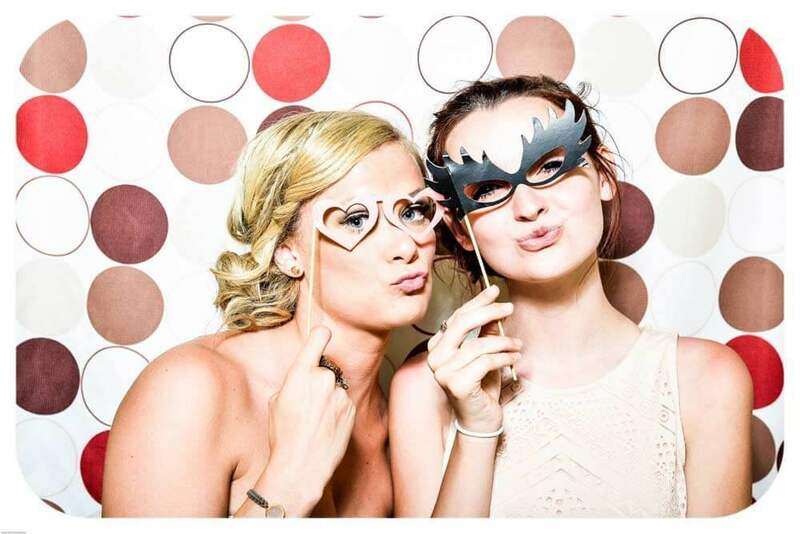 Modern photo booths have the function of sharing the digitalised copy via emails, so you may stay assured that you will have the copy in case you lose the original. Photo booths have evolved, they became more user-friendly, but maintained that spirit people loved them for. Photobooths are so popular, that sometimes we saw people dressing in carnival costumes only to make this experience even more unforgettable! Remember yourself glancing through the millions of pictures on your hard drive, and try to compare it with the satisfaction you get out of watching a single picture made in a photo booth with your boyfriend or girlfriend, or best friends in that happy, special moments no phone would not be able to capture. It is the moment and the emotion that we treasure. Photo booths have long become a reliable companion for a successful party filled with positive vibes! It is perfect way to diversify the other fun activities you prepared for your special occasion. Can I afford a photo booth for my party? It looks like you have already grasped all the pros related to photo booths, haven’t you? How much is it to hire a photo booth is a separate question we would like to talk about a bit later. Before you learn about the financial aspect of photo booth renting, it’s worth remembering that the price should never be the main reason for selecting a service provider. There are many other approaches to judge upon the sustainability of a company’s services. Remember to consider the style and design of the photo booth you plan to hire, it needs to fit your event’s interiors. From this perspective, the larger the assortment of a company is, the better is for you. The photo booth needs to fit the event organically. Transportation and the technical condition are also worth considering. The last, but far not the least is the price. The selection of companies that you may find in Melbourne on the internet is quite long, but we can assure you that the ideal combination of a super quality of service and a reasonable price is only at our company. We here at the Cheapest Photobooth Melbourne service are professionals in all aspects of the photo booth business. Starting from the technological aspect and ending with various approaches to design, our staff is perfectly versed with all of them. Whenever you hire a photo booth for your wedding or corporate party, you may stay assured that with our company your task will be executed just perfectly. Our staff is perfectly trained and equipped, while our equipment is always in perfect condition. We are dedicated to deliver a first rated service for a bare minimum price, we are assured that you will enjoy it! Our approach to photo booths hire prices is something we consider to be the best thing about our company. What are the cheapest photo booth packages? Nowhere else in Melbourne you will not be able to find such a reasonable offer for services which are outstanding in terms of the product, service and prices! We offer several options suitable for a wide range of circumstances. You may start with $65 dollars for one hour (customer pickup & return) which is just perfect for small events or short events, such as home parties for example. If you party is just starting in two hours, than you might get interested by our 3 hours option for $325 photo booth hire. A 4 hour photo booth package costing 425 dollars is an option for sizeable events that will host an impressive number of people. However, we have not yet reached the end, since for only $525 you may get our 5 hours’ proposal – the best option for a party which you plan to get out of control! We may also discuss a customized proposal. Our comprehensive photo booth rental prices guide and the gallery of photo booths available for hire may be viewed on our site. Why customers like Cheapest Photobooth Melbourne? We invite you to check testimonials from our former customers. Some of the parties are available in the blog section of our website. There you will see beautiful, happy faces! These people hired our photo booths and never regretted! Also, you may check our Google Reviews and feedbacks online, there are definitely many of them. You will see there happy people, as well! What is the greatest about our company and our services, is the fact that our former customers are always coming back to us, again and again, whenever in need of making a good party outstanding! This is something that we consider to be the best endorsement of our services. If there is any other information that you would like to learn about, we strongly encourage you to get in touch with us directly, contact details are present on our site. Cheap photo booth rental prices are also comprehensively present! Our warm and friendly customer support will happily provide you with all the details you might eventually be in need of. We will be looking forward to hearing from you!